Board index ‹ Arts ‹ Crafty! All things vegan and artsy-crafsty go here. The Graphics Fairy is a fun source of free "vintage images and crafty projects." There are free patterns over at Urban Threads (http://www.urbanthreads.com/free_designs). You have to sign up like you're ordering, but they have some really nice designs. I think you might have alerted me to Urban Threads, Shiva, so... thanks! Ooooh, I LOVE Urban Threads! And when you get on their emailing list, you'll get notices of their awesome sales. Love love love them! 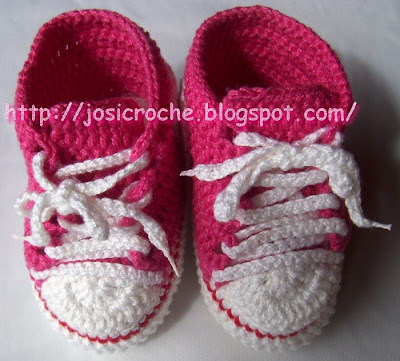 Crochet... baby bootie... converse. Oh, my. Free pattern here. Scroll down for the English translation if you don't read Portugse. Also here, with some changes. Cutest booties ever!! I can't have babies nor can I crochet, but it makes me wish I could do both!